We hear it all the time when we’re out and about. ‘Poole’ did this. ‘Poole’ said that. Oh, you’ll need to check with ‘Poole’. 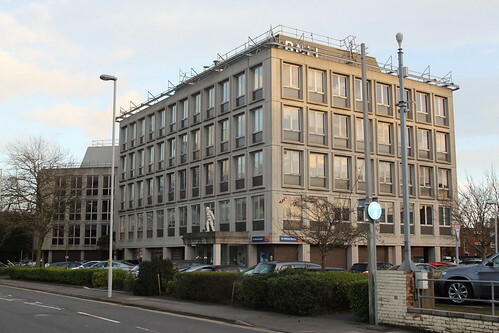 The RNLI’s headquarters in this Dorset town have taken on an almost mythical status across the organisation. But things recently got a whole lot more real for the little guys. Because they managed to wangle themselves an invitation to visit this throbbing heart of all things lifeboat. We travelled down the night before, so as to avoid any last minute traffic-related hiccups. 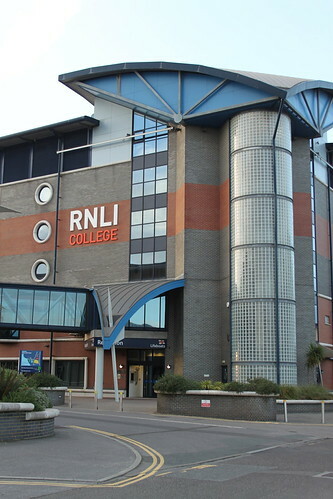 Which had the added bonus that we got to stay in the extremely pleasant RNLI College, a home-away-from-home for lifeboat crews developing their skills. And also, I should probably add, available for courses, conferences and short breaks. Back at HQ, our first activity was a tour of the College itself – with the highly knowledgeable and extremely pleasant Chris as our guide. Now, I’ll tell you more about our tour in another blog post at some point, but suffice to say that the College is – to put it quite simply – awesome. 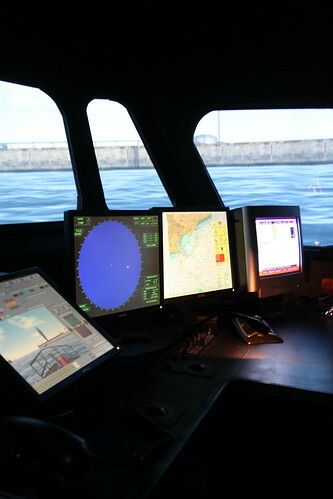 And that’s before we even start to talk about the lifeboat simulator. It was so realistic, the Crew were wobbling around on their sea-legs for quite some time afterwards. 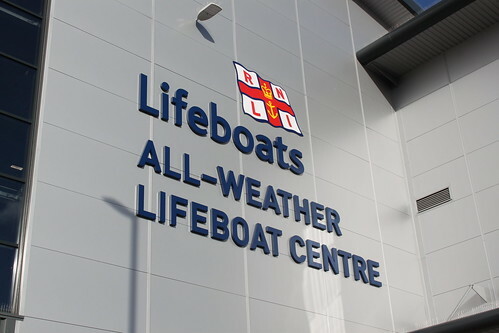 After lunch in the College restaurant, it was off to the All-Weather Lifeboat Centre (ALC), this time with naval architect Dan and Ross, the man behind the ‘Respect the Water’ campaign and the kind soul who had invited us to visit in the first place. 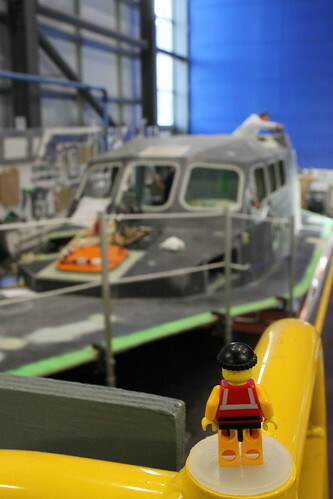 The little guys were delighted to see several Shannon lifeboats under construction and really enjoyed having the opportunity to see the parts that other tours, quite frankly, just cannot reach. Our last (but by no means least) stop was the Sir William Hillary building, to visit the coastal safety, social media and marketing teams. The Crew and I were overwhelmed, to be honest, that so many people were happy – keen, even – to take time out of their busy schedules to tell us more about what they do. As I said, we’ll tell you more about our visit in future blog posts. Suffice to say for the moment that, if you ever get presented with the opportunity to visit the RNLI HQ in Poole, seize it with both hands. Because it’s a great place with great people doing great work. And it most definitely lives up to the myth that surrounds it. This entry was posted in Out and about and tagged HQ, Lifeboats, Poole, RNLI, The Lifeboat Crew by Simon Perks. Bookmark the permalink. All content on this site is the copyright of Simon Perks unless otherwise stated. All rights reserved. LEGO is a trademark of the LEGO Group, which does not sponsor, authorise or endorse this web site. Work hard, have fun, be awesome.